At Structural Challenge the focus is on providing the whole package – from shop drafting to fabrication and erection – they offer the entire service and pride themselves on unbeatable service, which they feel really gives them the edge. Their project portfolio is both impressive and diverse, ranging from education facilities to shopping centers and high spec offices – they've become a well-respected organization in the industry. With an industry-specific enquiry and steel estimating software tool, it specifically meets the needs of estimators in the steelwork fabrication industry. Allowing users to process and manage information throughout the tendering process, using a number of pricing methodologies. STRUMIS’ estimating software is for Estimators, QS and Commercial Managers involved in the detailing of accurate tenders for steelwork fabrication. It was this feature that proved to be the key selling point for growing business Structural Challenge. Structural Challenge certainly did their research and chose STRUMIS, after carefully comparing the market, due to our local presence. With our office in Western Australia, they felt reassured knowing that we wouldn't be an entire continent away for support. 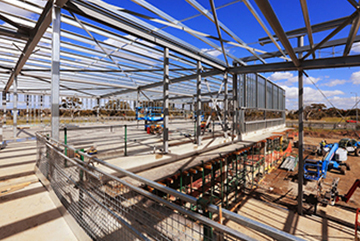 At the time of the implementation, back in July 2010, Structural Challenge were one of the few structural steel companies in Victoria who had embraced such an in-house technology. They felt, and continue to do so, that the implementation at this early stage really gave them an advantage over their competitors. 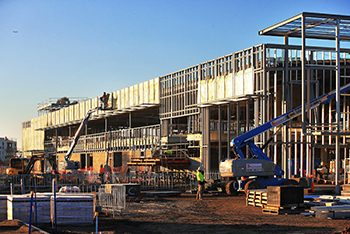 Chris Roos, STRUMIS regional manager in Australia comments, "We’re pleased that Structural Challenge came to us with a need to improve the estimating side of their business. The benefits of having a local support team means that our clients can come to us and we can provide them with all the information, guidance they need to maximize the potential of using STRUMIS. We continue to build on our good working relationship with Structural Challenge and will be there to help them manage their workflow more efficiently." With extensive experience in steel fabrication and erection, Structural Challenge Pty Ltd is a privately owned structural steel company with a primary goal to provide a complete package in structural steelwork, with a real service orientated edge. Structural Challenge aims to provide the ultimate in service and workmanship. Close attention is placed on each client’s needs and particular importance in deadlines and maintaining programs. Structural Challenge has established a strong philosophy of maintaining flexibility and professionalism.